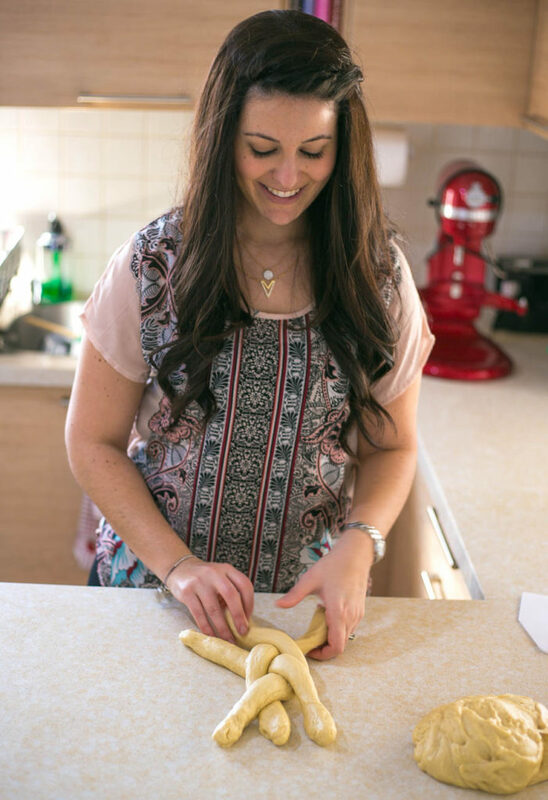 Call me old-fashioned, but the first thing I wanted to learn to make as a new Jewish wife was challah. I would try all kinds of recipes week after week, but none of them blew me away. The biggest problem I had was that they all called for 5 lbs of flour, yielding like a million challahs that you’re supposed to freeze. Aside from the fact that I like making fresh challah almost every week, ain’t nobody got space for all those extra challahs in the freezer! When we first got married we lived in a tiny little NYC apartment, with a refrigerator the size of a shoebox and barely any freezer space. What little freezer space we did have was dedicated to meats and cheeses that we stocked up on quarterly grocery runs to Monsey, which were necessary if we wanted a good selection of kosher food and to avoid the Manhattan price premium. Anyway, back to challah. I would try all these recipes, but I always attempted to cut them down to only make 3-4 challahs, enough for one Shabbat, maybe two at most. The problem is that a bag of flour is not easy to divide up to go along with a scaled-down recipe, so I would always make a lot of estimations. Let’s just say it did not work out. Over time, I developed my own challah recipe, using cups rather than pounds to measure the flour. While I was somewhat satisfied with that recipe, I would definitely not call it outstanding. It was good enough for the time, especially given all the trouble and experimenting that I went through to develop it, but I always felt like I could do better. So I continued developing the recipe. 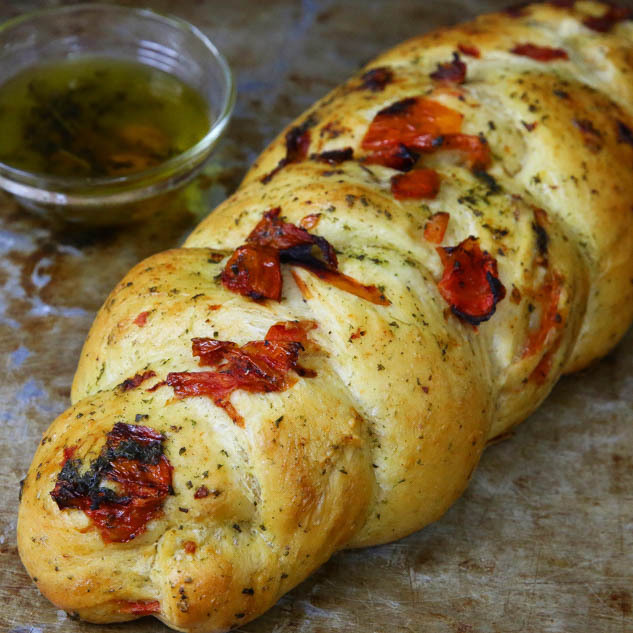 I even tried to turn it into a butternut squash challah once, that was so good! In Israel, as it turns out, there isn’t even such a thing as a 5lb bag of flour, though I honestly wish there was! All I’ve managed to find is 1-kg bags. I have to buy at least 5-6 of them just to fill up my flour canister. Also, I quickly noticed that all my baking ingredients here taste different than they did in the States, so the finished product turned out different as well. So, back I went to the drawing board! After lots of experimenting, I finally landed on a challah recipe that’s here to stay! It is soft and doughy and oh-so-amazing to eat directly from the oven. But my favorite part was an entirely new component: coming up with unique and characteristic toppings that could match the challah itself. If you’re like me and just want a challah recipe that will yield a few loaves, this is definitely going to be your go-to challah from now on because you don’t need to use entire bags of flour. Even if you are a person who wants to make a ton of challahs at once, this recipe still works because it is broken down into cups, so you can easily double, triple, or quadruple it. 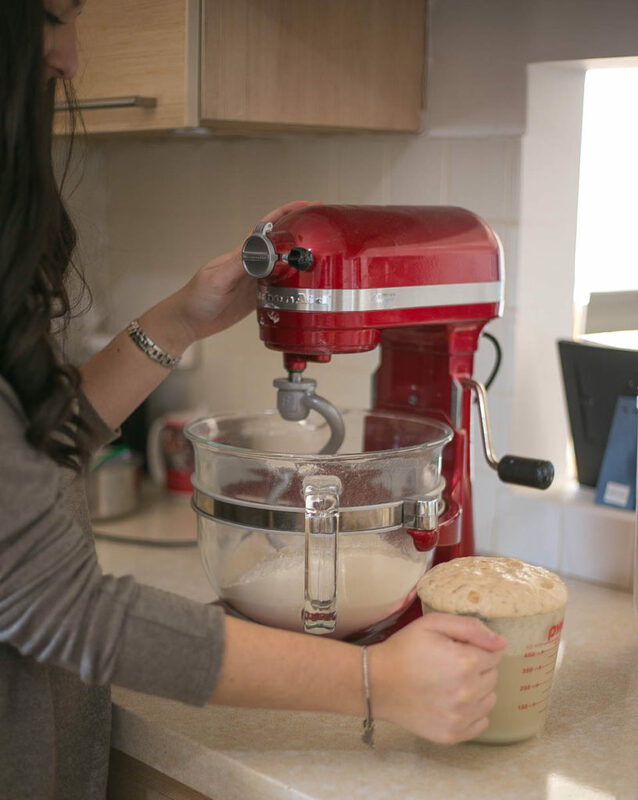 Just be careful to check if your mixer can handle the amount of dough you’re trying to make – I’ve found that my KitchenAid can take up to 7-8 cups of flour. 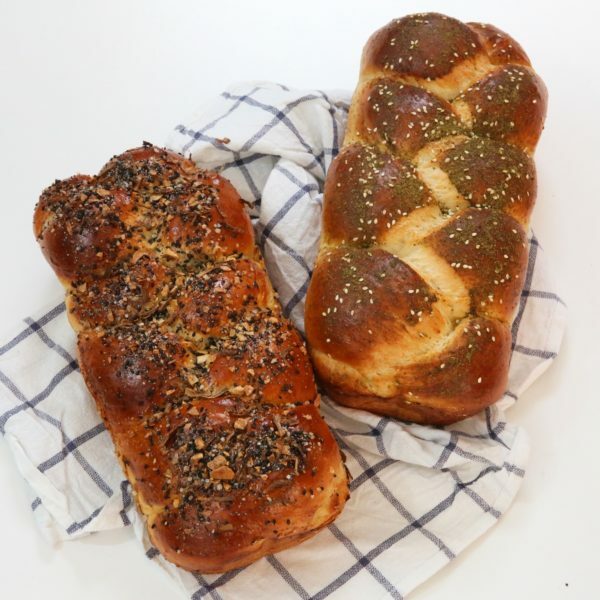 Full disclosure: this challah recipe was developed using Israeli ingredients, and in my experience that can make a big difference. So if you’re in the US, definitely add it to your list of challahs to try and see if it works for you. Let me know how it turns out! Combine the dry yeast and 1 tbsp sugar in a measuring cup. Add in the 2 cups warm water, give it a quick stir and aside to proof for 10 minutes. 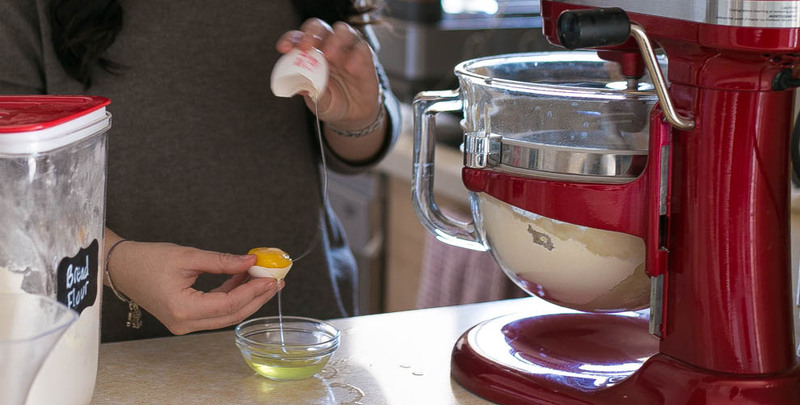 In the bowl of a stand mixer, combine 5 cups of flour with the rest of the sugar and salt. Start your mixer and slowly add in the eggs, honey and oil. Mix well. Once the yeast is proofed (it should be very foamy and have a distinct smell, if not it's not alive and you should start the first step over again) add it to the flour mixture and mix until all ingredients are well incorporated, adding another 2.5 cups of flour slowly. If you need to add another 1/2 cup of flour or 1/4 cup of water do so while it kneads. 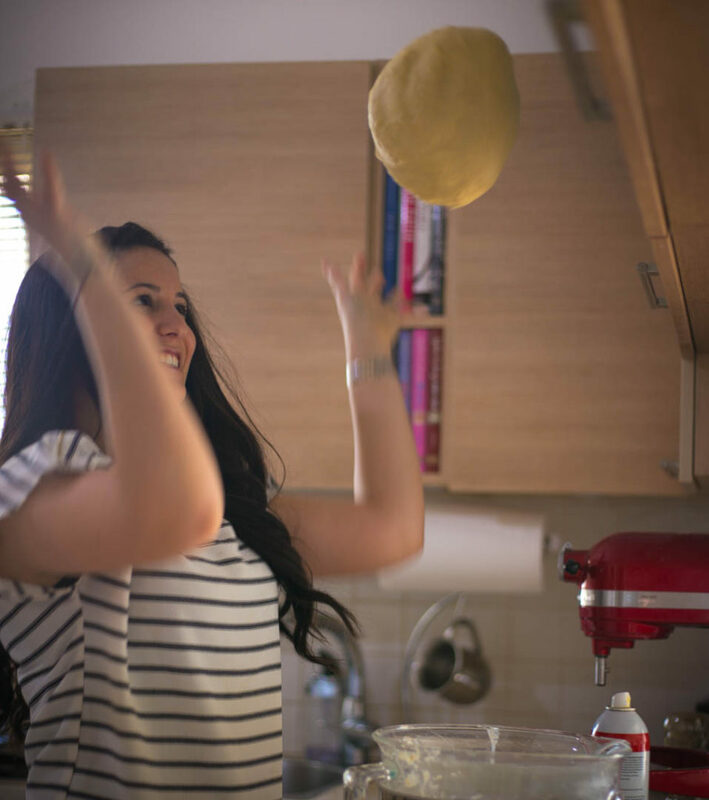 It usually takes my KitchenAid between 7-10 minutes to knead the dough. 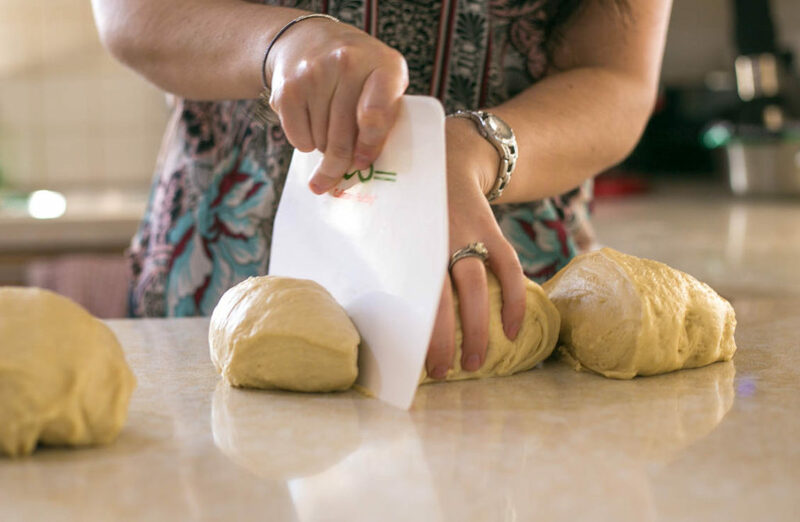 Once the dough has formed into a ball around the hook and the dough is smooth and elastic, remove the dough, coat the bowl with oil and place the dough back in and cover with a towel. Set aside to rise for 1-2 hours (until doubled in size) in a warm, draft-free spot like the inside of your oven when it's off. Once it's risen uncover your dough and punch the dough down. Preheat your oven to 350 F on convection setting. Split your dough either into 2, 3 or 4 and then braid/shape however you like it. Allow to rise for 30 minutes then brush with an egg wash. You can top with any classic toppings like sesame seeds, poppy seeds, zaatar, etc. or try out one of my toppings below (see note) and bake about 40 minutes. Mix together all the seasonings. Preheat the oven to 400 F. Line a baking sheet with foil for easy cleanup and then line with parchment paper. Place the tomatoes on the sheet and toss with olive oil, coarse sea salt, the minced garlic, oregano and freshly cracked black pepper. Place the thyme springs in between. Bake for 35-40 minutes until the tomatoes have blistered (the skins should look shriveled). Cut everything up into small peices, making sure to remove the thyme stems. Preheat the oven t0 400 F. In a small oven-proof ramekin place the garlic cloves, thyme, and sage. You want a small enough dish where it will be loosely packed and not tons of room. Pour in the olive oil, using as much as needed to just cover everything. Sprinkle sea salt and freshly cracked black pepper. Cover and bake for 40 minutes until olive is bubbly and garlic cloves are super soft. Once cooled, cut up everything into small pieces, making sure to remove the thyme stems.